I am delighted to be with you at this important conference. As Mr. Cummings said, this is indeed a week of celebrations for Manchester City fans. So again, congratulations to the Man City and all its supporters! For those of you in attendance today who love Man City, I need your understanding that although I’ve watched quite a few Premier League matches, being Chinese Ambassador means I need to be neutral and equally friendly to all teams. Yet I do feel strongly attached to the new champion, not only because last month I was at the Emirates when Arsenal hosted the team. More importantly, I’m happy to say Man City and Arsenal will take their“tale of the two cities” on the football ground to China. In this London Olympic year, the two teams will play at Beijing’s Bird Nest, China’s national stadium which opened the Beijing Olympic Games 4 years ago. And the match is put on the evening of 27 July, precisely the night of the opening of the London Olympics. What a coincidence! I wish both the two teams best of luck and it must be a wonderful opportunity for their Chinese fans to cheer them on up close. Actually, this anecdote offers an interesting way to understand Britain. This is a country where football is a big deal and before talking about anything, you start from football. So let me follow this tradition and say with enormous pride that football offers a glimpse of the depth of cultural and people-to-people connections between our two nations. And our partnership is expanding into more areas and strengthening each passing day. 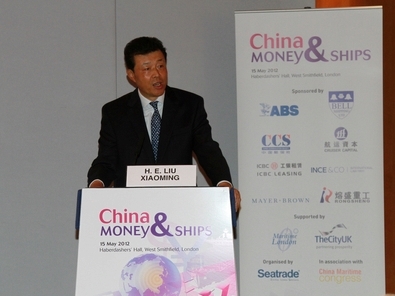 In this context, the topic of the China Money and Ships 2012 conference today, finance and shipping, are obviously two key words with considerable significance. They are an integral part of creating jobs, growth and prosperity in our two economies and worldwide. I want to thank SeaTrade for organising such a highly relevant meeting. I also appreciate the efforts of supporters and sponsors of this event. As I said today’s conference is highly relevant, because trade, finance and shipping have natural links. The history of the financial sector shows its roots in sea trade. Modern financial systems evolved after Europeans discovered the new continents through maritime explorations in the fifteenth century. Adventures and trade on the sea have challenging drawbacks. These are large investment, slow economic returns and high risks. Elements of the modern financial system were created to counter these drawbacks. Many matured here in London, such as joint stock companies, insurance, commercial banks, and public banks. As I indicated history shows that the financial sector and shipping industry have been mutually enhancing. These are areas of expertise where Europe has a global lead. Europe is at the heart of global shipping finance. European banks are long and traditional players of shipping finance. However the dominance of Europe in shipping finance is now changing because of the global financial crisis. Since the onset of the financial crisis, the lending ability of European banks has declined. This has led to a sharp contraction of their loans. Evidence of this change is found in statistics. In the last quarter of 2011, shipping credit around the world increased by 7.3%. The main reason for this rise was the rapid growth in the business of Asian financial institutions. Their activities have filled the gap left by European banks. In particular, the Chinese financial sector has played a big role in this regard. · In 2007, the China Banking Regulatory Commission approved setting up financial leasing companies by commercial banks. · Since then, the Industrial and Commercial Bank, Bank of Construction, Bank of Communications, China Merchants Bank and China Minsheng Banking Group have set up five financial leasing companies. · In 2009 new policies and plans were introduced by the Chinese government. These encouraged the Chinese banking sector to become heavily involved in shipping finance. · These initiatives have helped relieve financial constraints of shipping companies, and in turn promoted the sound growth of the shipping industry. · Now, ship finance and leasing has become an important financing channel for Chinese shipbuilders and shipping operators. With the support of the financial sector, China’s shipbuilding industry has grown at an impressive speed. Its share in global markets is rising notably. I want to stress here that Chinese banks have adequate funds to provide financing support for foreign ship owners who want to build ships in China. Given the large number of ships built in China every year, there is great potential in further raising China’s status in international markets of ship finance. 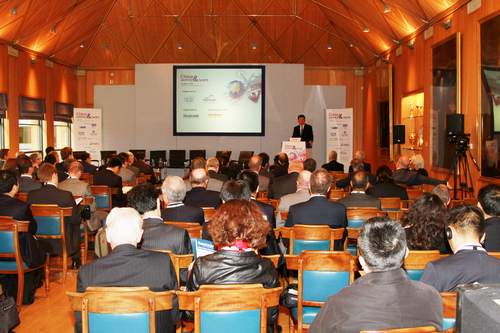 · And the promotion of the sustainable development of global shipping finance. In conclusion, I wish the conference a great success! Seatrade is a UK-based maritime services group. It is a market analysis provider, industry consultancy and event organizer. with branches in Dubai, Singapore and Hong Kong. 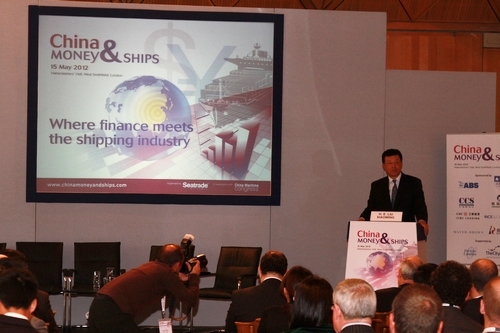 The China Money and Ships 2012 conference, hosted by Seatrade, discusses the direction of travel of China’s shipping finance industry and the potential in deepening partnership with global financial institutions. 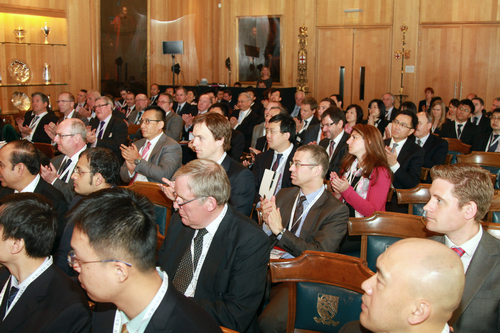 The conference draws together around 200 guests from financial, shipping, legal services and consultancy sectors of China, UK and the rest of the world.